Strong winds and low humidity will cause major issues across Northern California today. A Red Flag Warning and Wind Advisory are in place. 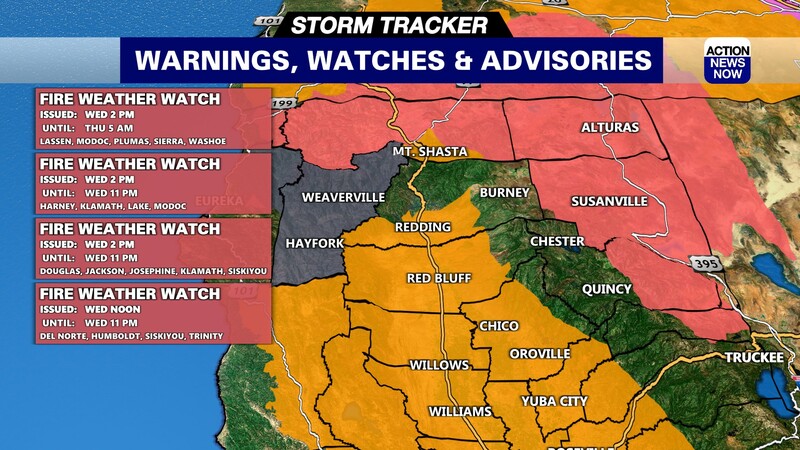 Strong winds and critical fire danger are prompting warnings for severe conditions across Northern California today. The Wind Advisory will be in place until 10pm tonight. That advisory is prompted by projected sustained winds up to 45mph, and gusts up to 60mph through this evening. 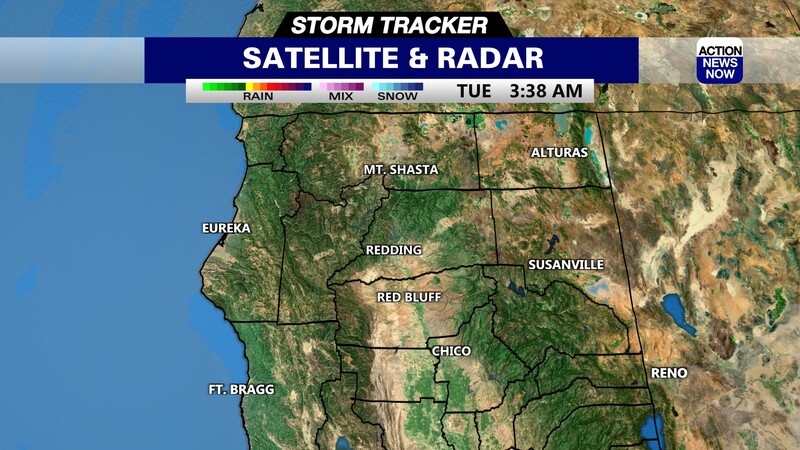 The strongest winds are expected to be across the Sierra, but very strong winds will also be in store for the valley. Valley gusts could reach 45mph, with sustained winds up to 35mph heading North to East. The strong winds will also help to keep humidity very low, and those two issues paired together result in critical fire danger. A Red Flag Warning is set to stay in place through 7am Friday morning for the valley, Sierra, and Coastal Range for the dry and windy weather. Temperatures have become very chilly again this morning with valley areas dipping back into the 40's to 50's, and mountain areas dipping into the teens to 20's for most cities. Skies are expected to stay clear today and there is plenty of sunshine on tap through your weekend. Gusty North winds, and low humidity will bring concerns for fire danger and potential for downed trees and power outages. Drivers should be cautious as tree branches and debris could be pushed into roadways today. Humidity will likely dip into the 5 to 15 percent range this afternoon. 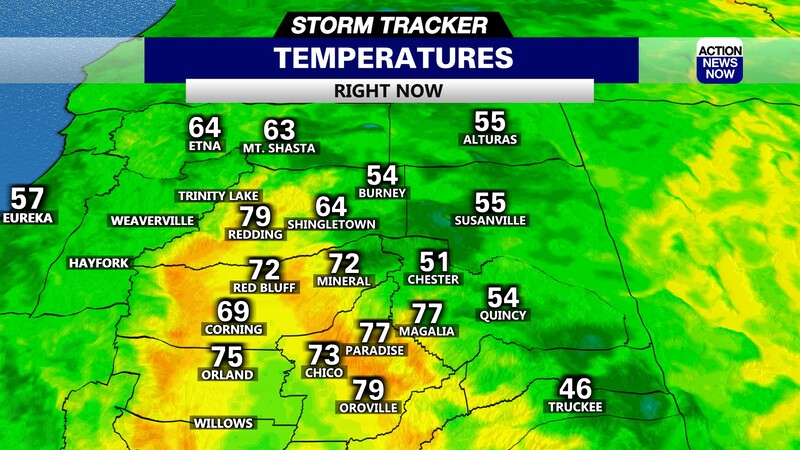 High temperatures are projected to climb into the low to mid 70's in the valley today, and into the low 50's to low 60's in the mountains this afternoon. Winds will diminish early Friday, but humidity will stay low over the next several days. Temperatures will continue to dip into the 40's to 50's in the valley, and top out in the low to mid 70's over the next 7 days. Dry weather will also persist through your extended forecast. Looks sunny, warm, and mostly comfortable for your Veterans Day forecast, and for the following Monday when most of the Veterans Day events are held. The dry weather persists through next week.